This ought to be a wet blanket on the recent stellar restaurant-jobs news: DineEquity, which runs and franchises Applebee’s and IHOP, has announced that it’s going to shutter as many as 160 restaurants as part of an attempt to bolster the company’s “financial health.” Between 105 and 135 of those closures will be Applebee’s locations — a disappointing earnings report was expected this quarter, but this number was estimated to be more like 40 or 60. 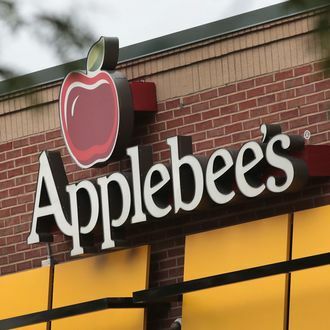 Instead, about 6 to 7 percent of Applebee’s stores will be affected. The chain employs about 28,000 workers, so this could be the equivalent of several thousand jobs lost. A point worth keeping in mind, though: The number of overall job losses is unclear, since DineEquity says it also “expects” to open 20 to 30 new Applebee’s locations (the “majority of which” will be overseas), and between 80 and 95 IHOP locations, most of which it thinks will be domestic. Interestingly, this is yet more proof that if you want to succeed in the U.S. hospitality service right now, you better incorporate breakfast.